Mostly used for recreational purposes, the ATV & UTV vehicles are also meant for racing &ride over the rough terrains. While ATV stands for “All Terrain Vehicle” and is a single seater, UTV signifies “Utility Terrain Vehicle” and provides seating arrangement for two. These days a lot of auto connoisseurs with an ardent zing for adventure are getting increasingly drawn to the ATVs & UTVs. The contemporary auto scene has brought some of the most expensive species from the ATV-UTV family that assures excellent engineering with a dashing mindboggling charisma. The list below presents the most expensive ATVs and UTVs. 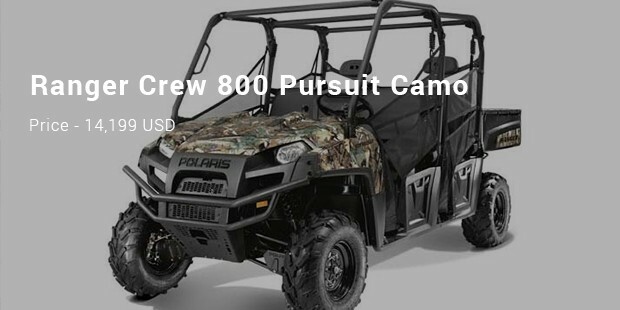 It’s the topper here and its most special feature is its ability to transform one regular UTV vehicle into something as powerful as a mini tractor. 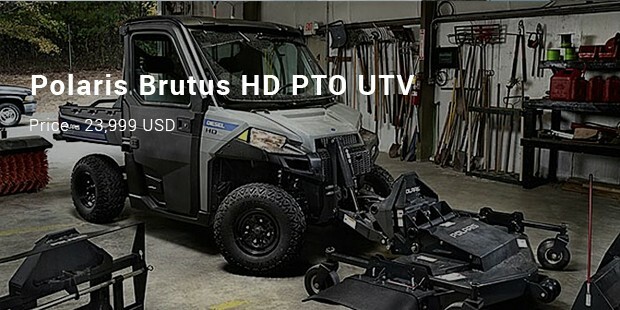 The UTV also hosts sufficient high power for running snow blade, pallet forks, materials bucket & mower. The full-enclosed cab is equipped with AC, heating & defrosting systems. This sport-utility UTV comes with Air-Control suspension meant for rear & back of the vehicle. You will also get 2-piece roof, rear net, dynamic power-steering and audio system with four various integrated speakers. The other important features are Garmin GPS, cast-aluminium wheels as well as Warn winch & top-line painted plastic. 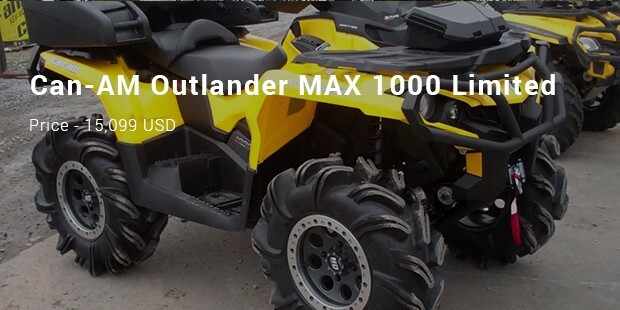 This great ATV is packed with an excellent set of features such as Air-Control suspension, top-line painted plastics, analog & digital gauge, heavy-duty bumpers (for both rear & front) – as well as Garmin GPS. Such a wide range of features definitely justify the expensive price tag and the model is surely worth a try. 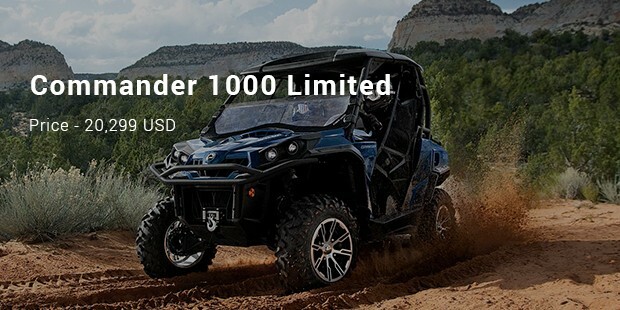 If you are looking for some adventure ride over a rough terrain, be it alone or with your best buddy- these ATV & UTVs are would be wonderful options for you. Yes, they sport a hefty price tag but the great engineering that has gone into making them, surely up their value.